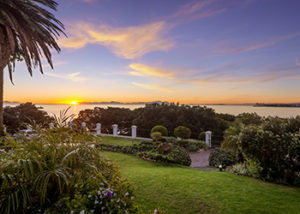 Harbour View Lodge is a charming bed and breakfast, that is situated on the slopes of the Hottentots Holland Mountain range in Gordon’s Bay. 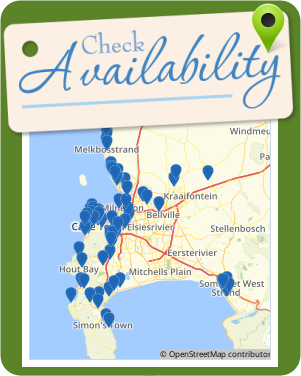 Ideal for guests looking for comfortable lodging with stunning views of False Bay, close to other facilities. 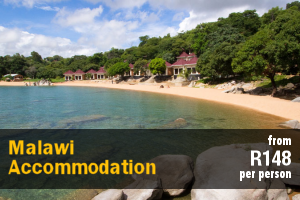 Accommodation at Harbour View Lodge comprises 5 bedrooms, which are tastefully decorated. 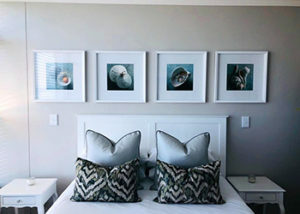 These rooms are equipped with Queen beds. The Family room having a extra single bed, with an en-suite bathroom that has a shower and or bath, basin and toilet. Some rooms have a private balcony which offers amazing views. 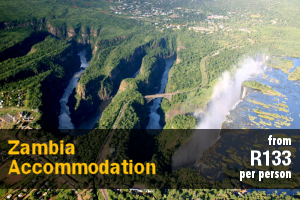 TV with selected DStv channels; tea- and coffee-making facilities. 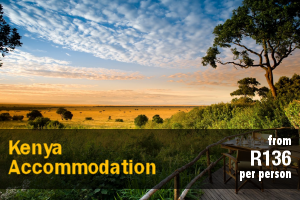 A scrumptious breakfast is served in the dining area should you have any special requirements these would need to be brought to our attention and will carry additional charges, and the lodge also has a communal lounge to relax in. 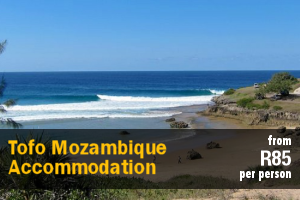 Secure parking is available for vehicles, and Harbour View Lodge is within close proximity of the beach, shopping centres, and other attractions. Guests will also be able to spot whales in the bay area, when in the season. 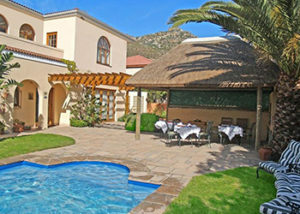 409 Welgelegen is a self-catering apartment located in a secure complex, situated in Strand. The building is ideally located across the road from the beach, and near to restaurants and a public swimming pool area. This 4th-floor, fully furnished apartment comprises 2 bedrooms and 1 bathroom. The main bedroom is equipped with a queen-size bed, and the second room has 2 single beds. The bathroom has a shower, basin and toilet. Bath and beach towels are provided. The well-equipped kitchen contains a fridge, a gas stove, a microwave and a dishwasher. The open-plan living area has a 4-seater dining table, and the lounge features a TV with selected DStv channels. 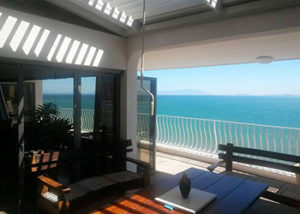 Lovely sea and Table Mountain views can be admired from the windows. The complex also offers a laundry room on the 2nd floor, and on the ground level; there are braai facilities, a tennis court, and sheltered parking with 24-hour security. Conveniently situated in the heart of the Strand ~ Green Gables Guest House ~ a beautifully restored turn-of-the-century homestead offers both business travellers and holidaymakers all the comforts of home. Capture the ambiance of yesteryear as you relax in large comfortably furnished guest suites with gleaming Oregon floors and high timber-beamed ceilings. Our guest suites are all fully fitted with large colour TV, M-Net, radio-alarm clocks, hairdryers and tea- and coffee making facilities. We also offer Internet, email, WiFi and fax facilities. 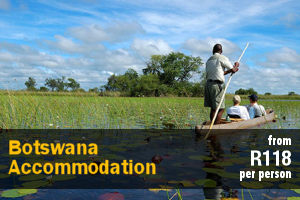 Guests can also enjoy the following facilities and services. 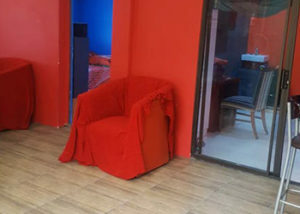 “The Arrows Arms” honesty bar and TV lounge; A fully equipped self-catering guest kitchen; a sheltered courtyard with braai facilities; an airport shuttle and car hire facility; one lock-up garage and off street parking; as well as umbrellas, and towels for the beach. 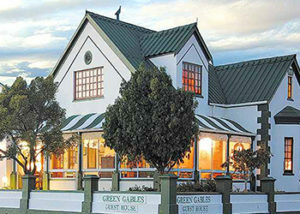 Green Gables is within walking distance of the beachfront boulevard,village shops and restaurants. Our home is the ideal base from which to explore the scenic wine routes, fynbos nature reserves and the magnificent False Bay coastline. The Strand is an outdoor and sport lovers paradise offering something for everyone. Be it sunbathing, swimming, surfing, sailing, kayaking and the warm waters of the bay are a haven for fishermen. A number of world class golf courses are right on our doorstep and all around the mountains that ring Somerset – Strand are mapped with hiking trails. 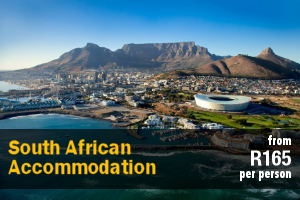 Eastern Mystique is located in Pelican Park, a suburb of Cape Town located 20 km from Cape Town International airport and 5 km from Strandfontein beach. 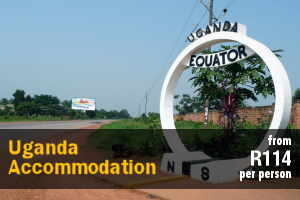 Accommodation is available in 2 private room, each with a private entrance and an outside area. 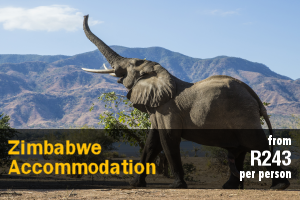 Each bedroom contains a double bed, a flat-screen TV with selected DStv channels, and an en-suite bathroom fitted. Free Wi-Fi access is also available.